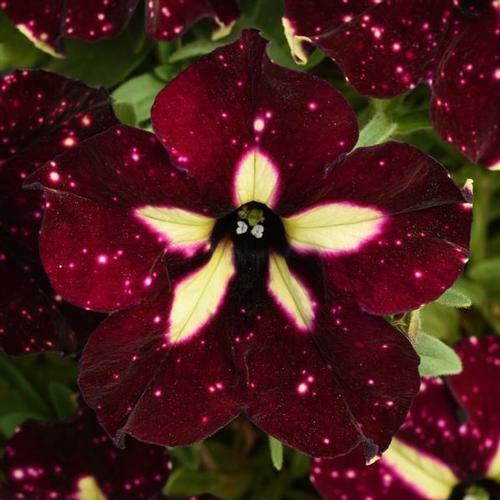 Deep burgundy blooms light up with a golden yellow star bursting from the center. Tiny white splotches create a galaxy in the backdrop of the star. This series of petunia is making headlines with early flowering, fast finishing and large blooms that result in eye catching baskets and containers.